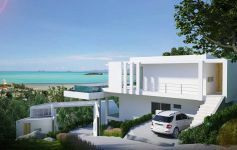 Available on Plot Q, this stunning 4-bed contemporary designer pool villa within award-winning sea view resort development. Panoramic sunset ocean views. Full resort facilities and estate/rental management. 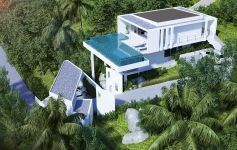 This striking 4-bed contemporary pool is on one of the last remaining plots in this award-winning sea view resort positioned on the hillside at Big Buddha. 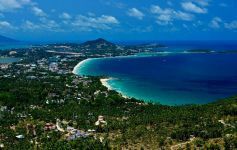 The close sunset ocean views are mesmerising, and the premium location is central and convenient being within 5-10 minutes from Samui International Airport, Chaweng Beach, Choeng Mon Beach and Fisherman’s Village. 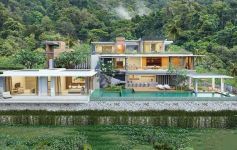 Offering an impressive 325 sqm of luxury indoor/outdoor tropical living, the villa is laid on two levels. 4 very spacious double bedrooms with luxury ensuite bathrooms, extra-large deluxe bathroom for master suite with tub; sea view balcony for master and second bedroom. 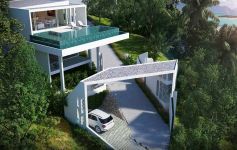 Huge open-plan living area of approximately 80 sqm - two sides sliding open to pool terrace featuring full-height patio doors; highest spec full fitted kitchen with island; guest WC; stairway to bedroom level. 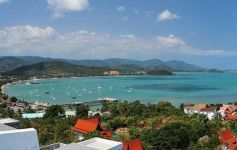 68 sqm infinity-edge pool with sunset sea views to Koh Phangan; large pool deck with adjoining covered terrace area. 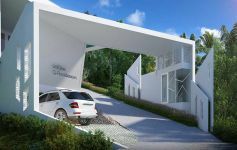 This villa has an exceptionally high finishing specification but there is an optional upgrade to heavy duty 38mm triple glazing window system for best possible soundproofing plus thermal break for bedroom windows for insulation. The facilities and services of the resort are also first class. 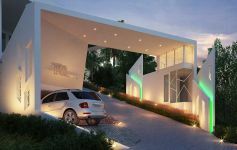 Along with full in-house property and rental management plus 24-hour security, these villas also enjoy the amenities of the development’s boutique hotel which include a pool bar, restaurant, gym, steam room and room service. The monthly development fees are 45 baht per sqm of villa area. 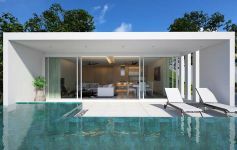 This is very good value because this covers private pool and garden maintenance which is not normally included in a communal charge. Services covered include: Maintenance of all common roads & gardens, security guards 24/7, waste disposal, private garden maintenance 6 times per week, private pool & jacuzzi maintenance 3 times per week. acrylic paint Jotun – Jotaflex white. for extra comfort, entrance door with eye viewer or window. Floor finishing: tiling 60 X 60 cm – plinters. Roof insulation – 7.5 cm polyurethane foam (not under concrete slab-penthouse unit only). Design LED lighting & rope light (indirect ceiling) reading light near beds. White aluminium powder coated frames. Optional upgrade to heavy duty 38mm triple glazing window system for best possible soundproofing plus thermal break for bedroom windows for insulation. oven, electrical hob, stainless steel hood, all from Smeg and Mex or equivalent. on wall with light box. Windows - Optional upgrade to heavy duty 38mm triple glazing window system for best possible soundproofing plus thermal break for bedroom windows for insulation. surfaces / acrylic, Appliances can be upgraded or changed. charged to the lessee and construction cost if any). Double glazing system. Furniture packages & tailor-made packages available. 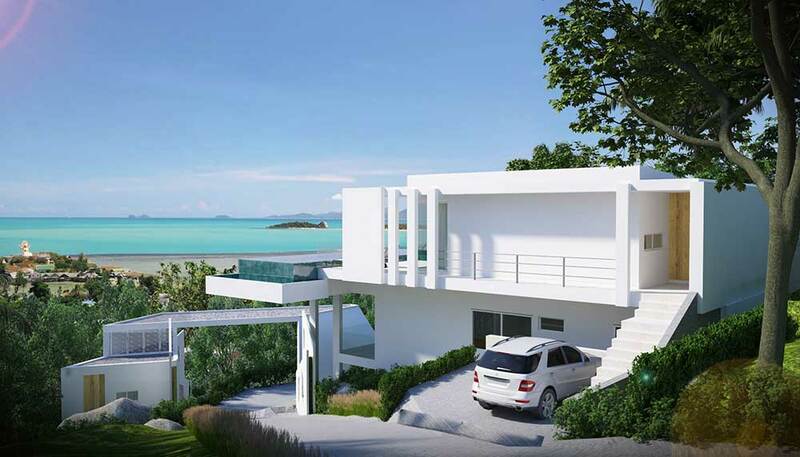 Contemporary tropical sea view villas in Chaweng Noi. 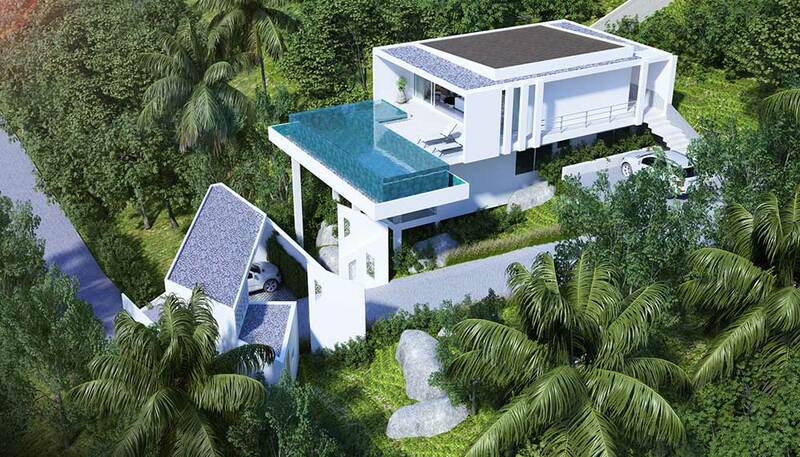 3-bedrooms and private infinity-edge pool. Panoramic bay views. 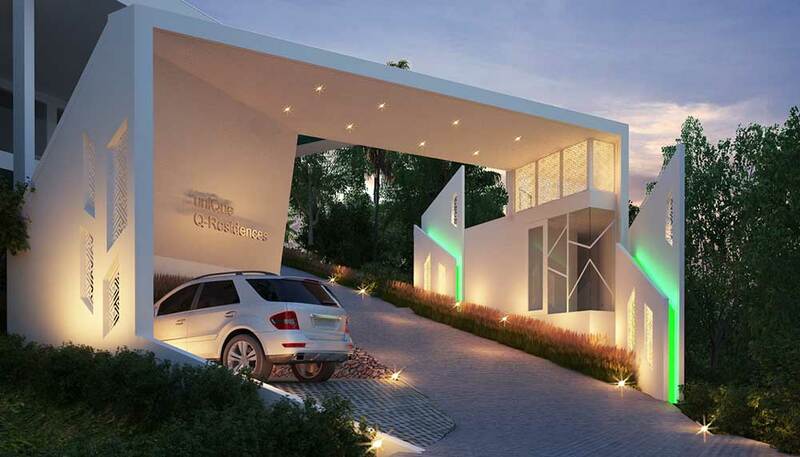 10-villa gated complex. No communal fees. Awe-inspiring sea view and coastal views from prime hilltop position. Striking contemporary design. 3-bedrooms. 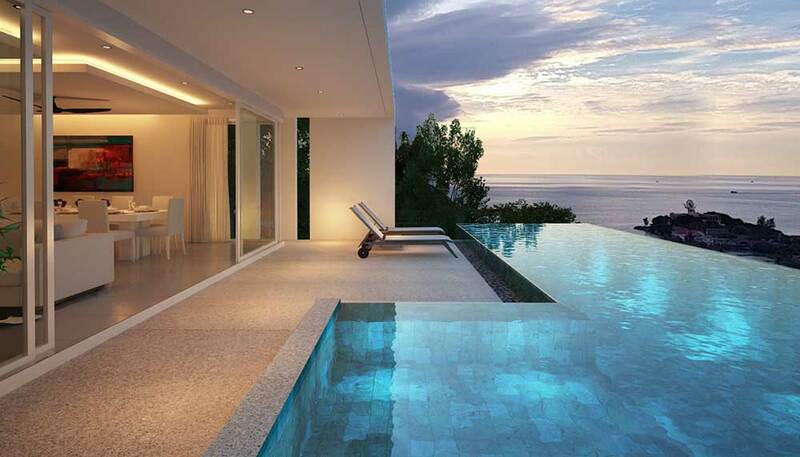 Private infinity pool.